Halloween is just around the corner. 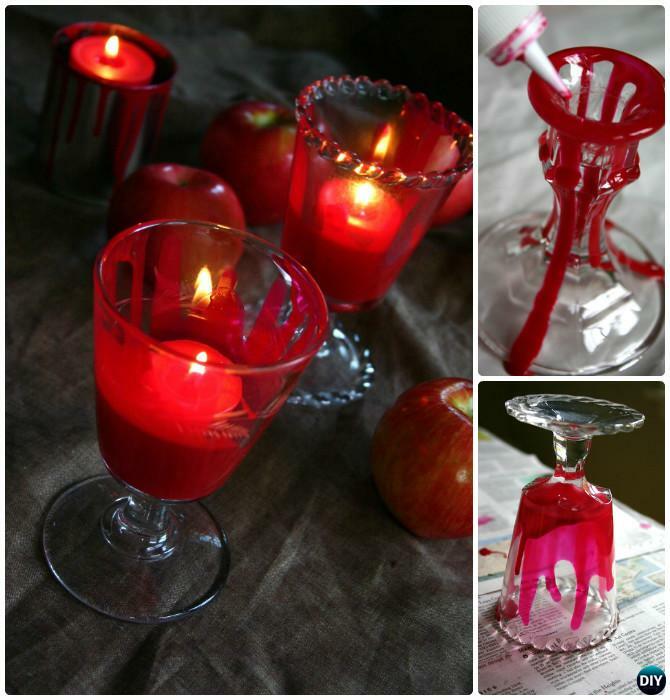 It is time to get into the Halloween spirit with some gorgeous and spooky decorations. Our Craft Channel has easy pumpkin decorations and some glue gun crafts for Halloween. 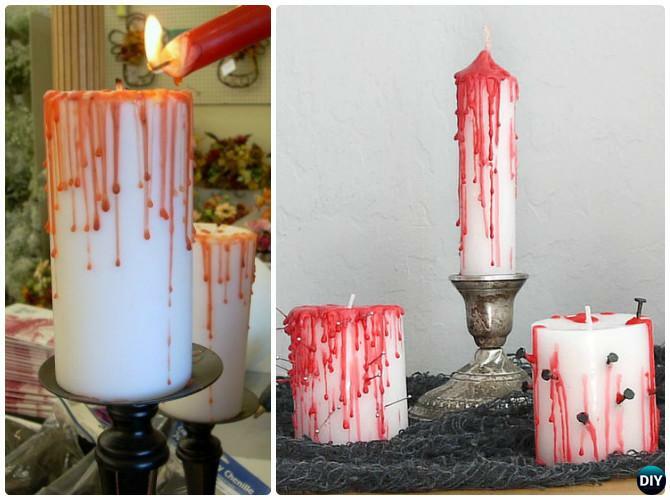 And now we are going to decorate this Halloween with goth looking blooding candles. 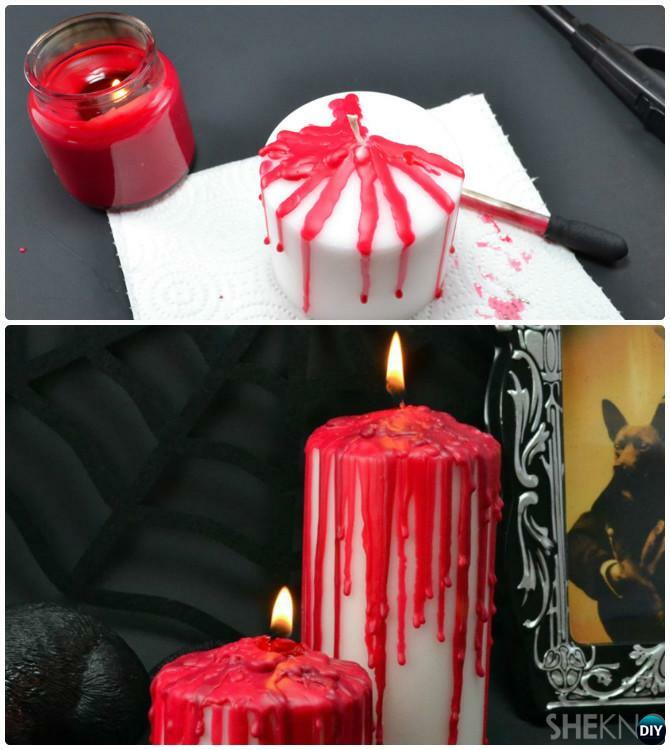 These scary spooky but kind of adorable candles have red wax or crayon poured on top of the white pillar candle to look like blood dripping down them! 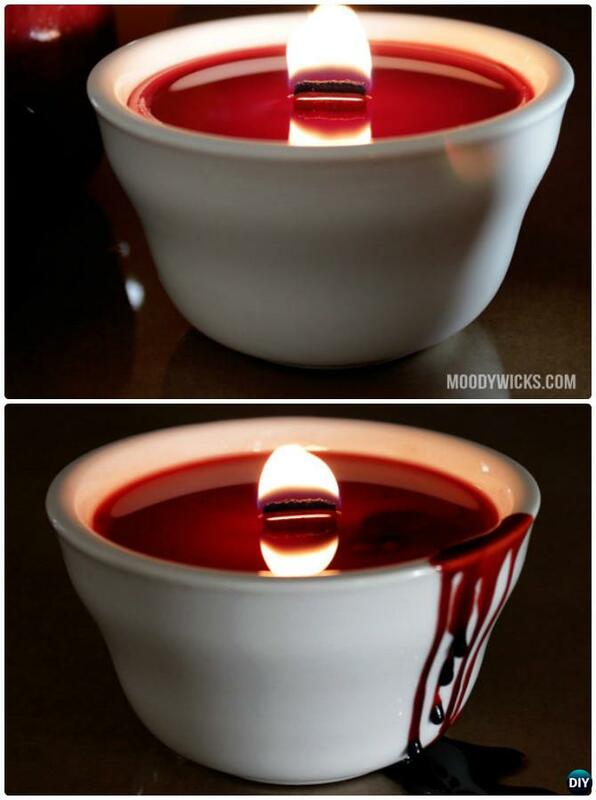 They are definitely a must for your Halloween Decor and we can add Autumn scent inside to make it smell amazing. 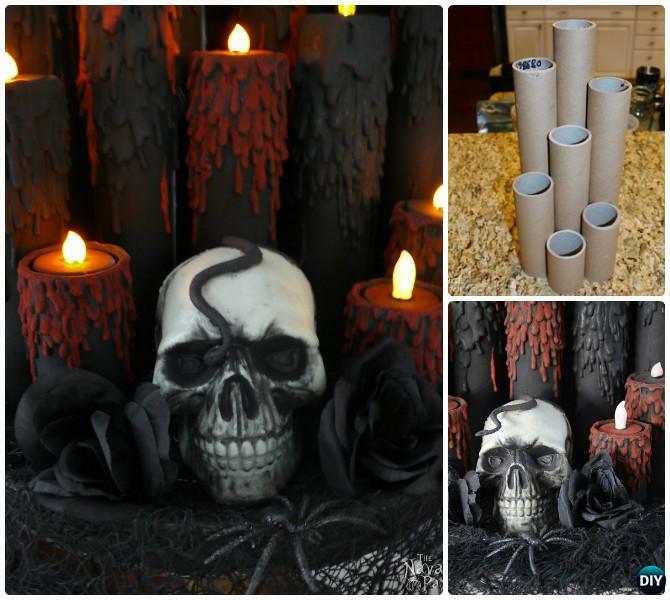 Group cardboard tube or toilet paper roll to make a bundle of bloody candle holder for Halloween Mantel or table decoration. 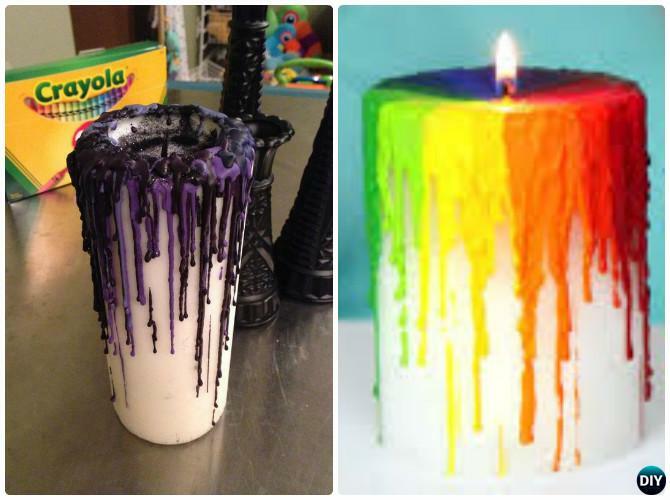 Spooky Candle by letting crayons drip melting down the sides, single color or mixed are both fantastic decoration of Halloween candle.